European Schoolnet celebrated its 20th anniversary in 2017! Having begun as a network of 18 Ministries of Education in 1997, we currently have 34 members, all united in our mission to transform education in Europe. Improving teaching and learning, especially through harnessing the benefits of the pedagogical use of technology, has always been at the heart of what we do. Our daily work consists of supporting Ministries of Education, schools, teachers and relevant education stakeholders in Europe in the transformation of education processes for 21st century digitalized societies. How do we do this in practice? We identify and test promising innovative practices, share evidence about their impact, and support mainstreaming teaching and learning practices aligned with 21st century standards and expectations for the education of all students. To mark this celebratory occasion we launched a series of activities to showcase the work we have achieved so far, as well as reflect on the road ahead. 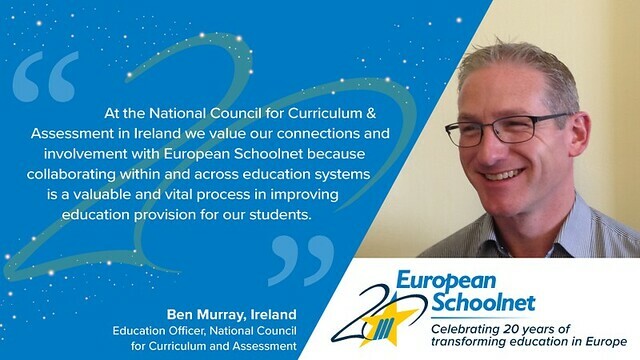 View our 20th anniversary video series and our testimonials on social media (#eu_schoolnet20). From teachers, researchers, Ministries of Education, educational ogranisations, industry and more, hear what they have to say on Twitter and Facebook.